In creating a good and productive conference room you must consider the do’s and don’ts in terms of designing and choosing the right furniture and fixtures. The effective use of conference room helps your employees to be more creative and efficient when working as a team and you can help to improve that by providing them the necessary and suitable equipment, comfortable furniture and a good design for the conference room. First, you need to provide the right equipment such as a table, chairs, technical gadget and etc. From the simplest to the most technical equipment will help your employees collaborate, assess, and brainstorm effectively that’s why it’s essential to create a fully functional conference room. Second, don’t hold back in designing your conference room. It’s important to make it look and feel comfortable for occupants. The colors play an important role in providing a calming atmosphere. Choose colors for walls and furniture that can easily complement each other and can provide a calming atmosphere with stylish appearance. Neutral colors are the most common choice but you can mix it with different color like blue, yellow or any strong color just make sure to balance it. Play with color, but always remember to avoid clashing colors between the walls, furniture or décor. Lastly, your conference room design should be comfortable, free of distractions and offer privacy. Distractions can decrease productivity and ruin your teamwork that’s why privacy is an essential factor in creating your conference room. A proper and effective wall or divider is recommended to use to keep the privacy inside to avoid revealing important information. 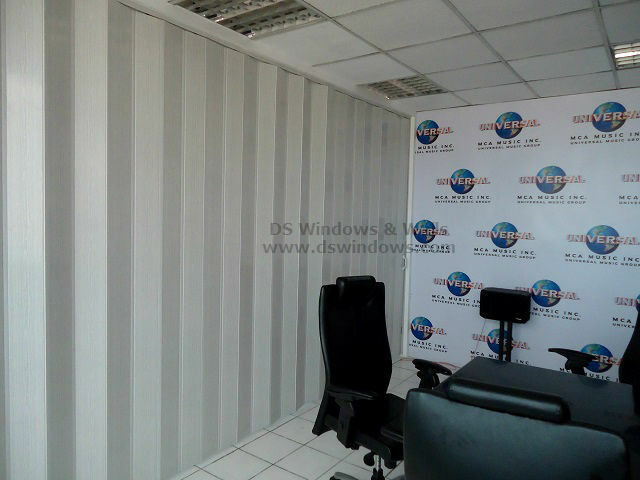 Our client in Ortigas Center, Pasig City opted for PVC Accordion Door as a folding partition for their conference room as a finishing touch. The PVC Accordion Door can provide privacy and boost the chic design of the conference room with its great imitation look of a real wood. 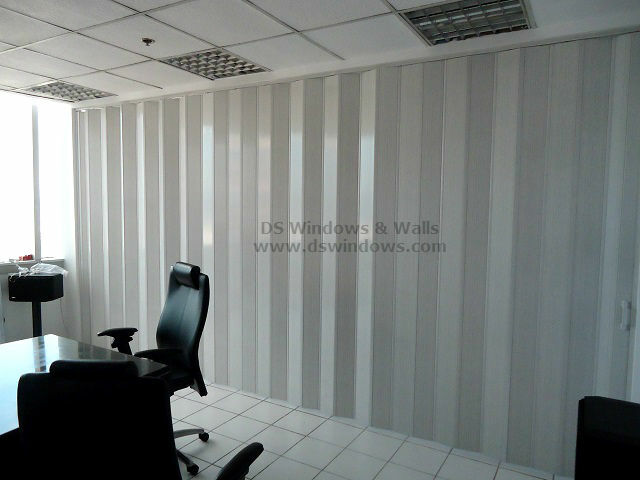 With the different color available our client finds the most suitable PVC accordion that will work well in their conference room which is the White Ash that collaborates with the white wall and dark furniture. And the foldable mechanism of the accordion door also offers our client to fully use and maximize their office space by giving them the choice to open the conference room if not being used and close it when privacy is needed. PVC Accordion Door offers a lot of benefits like privacy, affordability, stylish look and it’s the most affordable partition in the market today.